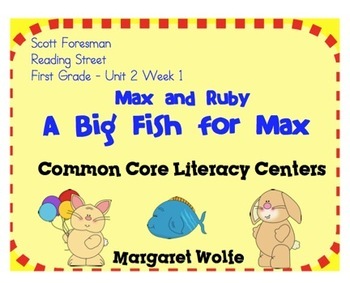 This file contains five ready to make stations to supplement Unit 2 Week 1 of the Scott Foresman First Grade Reading Street Program. 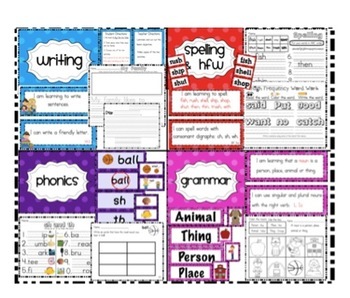 There are five common core aligned stations that include printable word cards, worksheets, common core objective cards and "I am Learning to...." cards. Station work reinforces targeted skills for the week. Writing - Students reflect on the story and either write about their own family, or write a friendly letter to a family member. Spelling & HFW - Students read and match the word cards. Then, complete the assignment to practice their words. 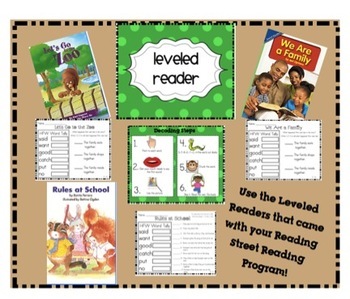 Leveled Reader - Students use the LEVELED READER (included with the Reading Street Program) to read and find HFW words. Then they sequence the story. Phonics - Students sort sh and th picture cards. There is also a sorting activity for the vowel sound in "ball." Included are worksheets for both targeted phonics skills. Grammar - Students sort picture cards for nouns: person, place, animal or thing. Then complete the assignment sheet.